No dia seguinte, após um surpreendente café da manhã com panquecas, nos despedimos de todos no porto. Lógico que a garganta ficou apertada e quase dei vexame. The next day, after a delicious pancake breakfast, we made our way to the harbor to say our goodbyes to the wonderful people of Amantaní, who received us with such a warm welcome. This brought a lump to my throat and I almost burst into tears. Seguimos para Taquile, 1 hora de barco, apesar de ser quase em frente. Lá também vi paz e harmonia, a comunidade trabalhando junta por si própria, uma escola imensa cheia de crianças e jovens e restaurantes que também abrem em regime de revezamento. Linda paisagem, o Lago azul, a ilha marrom com verde, as roupas coloridas, enfim MARAVILHOSO, eu não imaginaria isso nunca! Depois de olhos, coração e corpo alimentados com abundância de prazer, voltamos para as margens do Lago, para o nosso delicioso Hotel Casa Andina Private Collection, onde ainda desfrutamos de um delicioso jantar. 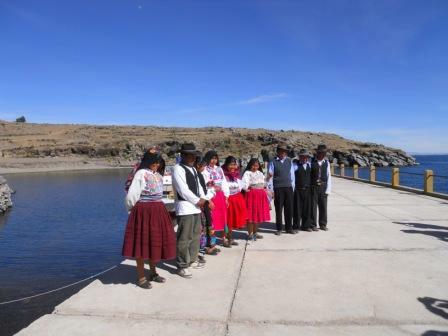 From Amantaní we headed to Taquile, a hilly island located 45 kilometers east of Puno. 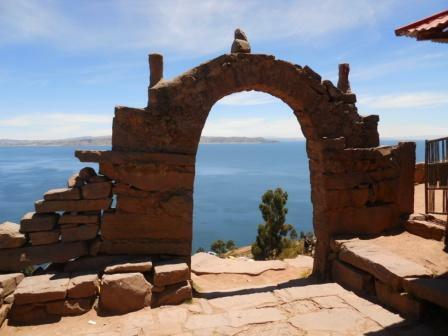 Although we could see it from Amantaní, it took us a one-hour boat ride to get there. 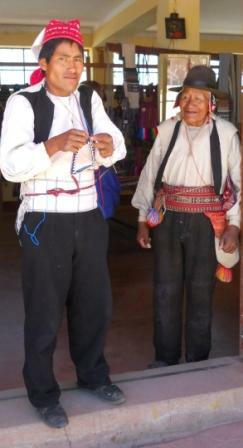 Taquile is also home to a collectivist and community-based society, which lives in peace and harmony. There is a school brimming with students - most of them children and youngsters - and small restaurants for tourists which open according to a rotation system created by the locals. The scenery couldn’t be more astounding: the island’s brown and green colors are set against a backdrop of people wearing incredibly colorful clothes and clear blue lake waters. Simply awesome! I would never have imagined that I would have such a great experience there!!! 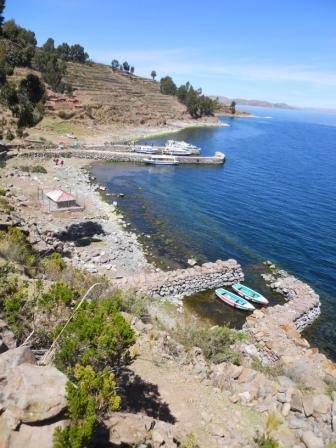 Finally, after feasting our eyes, hearts and bodies on such abundance and delight, we hopped back on a boat and headed to the cozy Casa Andina Private Collection Hotel. Luckily, we got there in time to enjoy a delicious meal. Também descobri que existem um turismo diferente - turismo vivencial - onde agente participa da vida e da cultura. 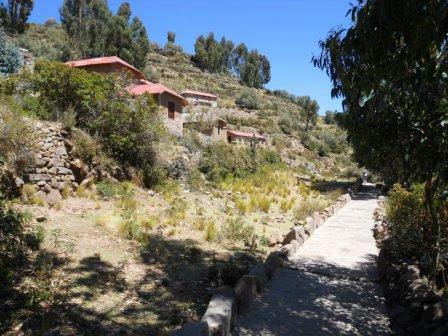 During my stay I found that, both on Amantaní and Taquile, there is alternative tourism through which you can experience and take part in the daily lives and culture of the local people.